I was reminded of these words in a Cotswold town recently, when I came across a large heavily-coated lady and her small heavily-coated Sheltie, both in sable coats, both out of breath after climbing up to the high pavement, both wearing expensive chokers but only one being perpetually coaxed forward with infantile chat. 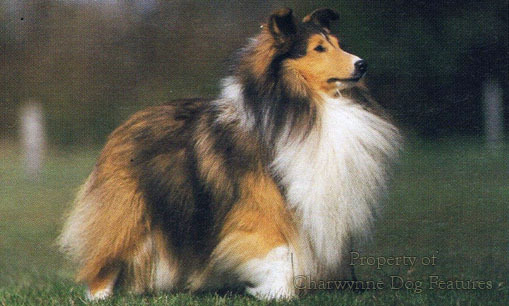 The small Pom-like Sheltie didn't look much like a sheepdog. The lady didn't sound like an adult. Steinbeck covered this too: 'Such a dog-lover talks baby-talk to mature and thoughtful animals, and attributes his own sloppy characteristics to them until the dog becomes in his mind an alter ego.' This lady needed her dog; I'm not so sure that the dog needed her. I have a neighbour who goes out at 8 each morning, returning at 6 in the evening. I can hear her little dog's lonely and sometimes frightened barking throughout the day. She cannot. On her return she carries the wretched dog around her garden, telling it quite loudly how mean the world has been to her that day. Her dog has had its say during the day! Steinbeck covered this as well, writing: 'I yield to no one in my distaste for the self-styled dog-lover, the kind who heaps up his frustrations and makes the dog carry them around.' This needlessly neurotic little dog will probably live another ten years and, with it, the equivalent of six years alone. He would have loved travelling with John Steinbeck, enlightened human company for every hour of every twenty four. Half a century ago, I had the privilege of an extended conversation with an elderly retired shepherd on Salisbury Plain, as we both walked our dogs. Wisely I listened; wisely he talked. 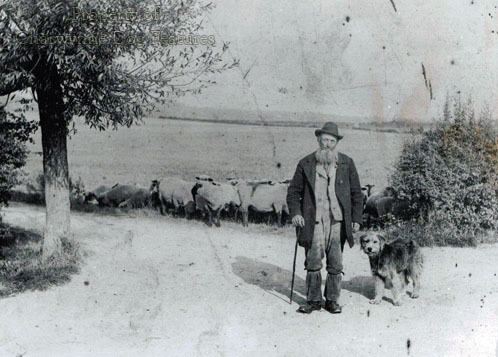 He had spent most of his life on the plain, minding sheep with his Blue Shag rough-coated sheepdogs. For nearly two hours he spoke warmly of his dogs and of his years with just them for company; he could remember the names of dogs which died twenty or thirty years before. He could recall quite vividly the differences between them, what made them individuals and how he had to treat them as individuals. Not once did he speak of his needs, his difficulties, how the world had treated him. John Steinbeck would have travelled a long way to share a conversation with this lovely man. Last year, I had a long and quite sad conversation with an elderly retired American farmer, who told me of his despair at his countrymen's interest in 'designer dogs'. 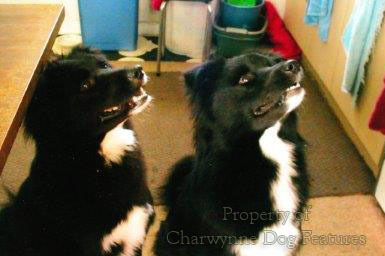 He told me of cases in which one breeder would respond to specific customer orders by breeding precisely what they wanted and charging them the earth for the resultant pups. 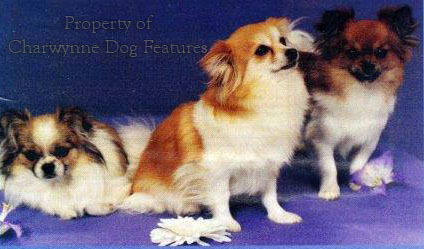 The breeder had no interest in the fate of the dogs she bred or the lives she had condemned them to. How truly do you breed a dog that has 'to be able to live in a tenth storey apartment, use a litter tray from day one, have a long white coat but no shedding, not require street-level exercise, eat the same food as the family, but live a 'nice long time'! 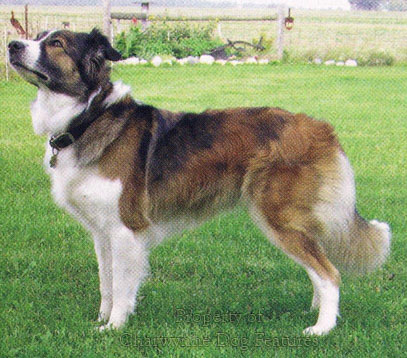 Wickedly, the retired farmer sent the breeder, after removing the breed's name, a breed standard, and the function, of what is known there as an English Shepherd. 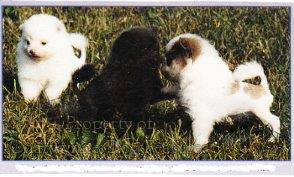 The breeder responded with the news that she could supply just the dog, by mating her Samoyed with a friend's Pinscher! And at a special price of a thousand dollars a pup! Warm-blooded playthings like Munchkins, Mi Kis, Kyi-Leos and Moscow Toy Terriers have been bred to meet a human need; dogs bred by dogs would not be that tiny, that vulnerable, that fragile. Dogs are subject creatures; should we now with our new-found 21st century wisdom not be more objective? We have exploited the planet and will one day pay the price. We are still exploiting dogs but only they are paying the price. Is that acceptable in these days of widespread moral vanity? Are we truly more interested in the welfare of foxes, grey squirrels and pigeons, classed by some as vermin, than in that of man's best friend? Indirect cruelty is still cruel. Cruelty by design is even crueller.